“2nd Annual Big Bear Summer Comp 2018” by BCKidd. -Hunts must be at least 1 hour Real Time. -EW hunt summary must show that number of animals harvested is equal to the number of shots fired. -Combined weight of all Bear in Kgs. 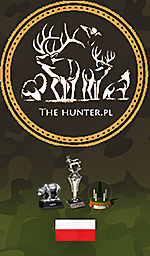 *Special Note: Short hunts less than 30 mins, disallows you from hunting on the same reserve again for this competition for a cool down period of 30 mins. Not following this rule is grounds for Disqualification. Hunts less than 60 seconds (disconnects, can't connect to server) won't count toward this rule. You are limited to 8 submissions total. Each hunt that you submit counts as 1 submission, whether you submit 1 or 2 Bear. Submissions must be made within 90 mins of hunt ending. 2 Polar Bear- Attempts unlimited until submission is filled. 2 Grizzly Bear- Attempts unlimited until submission is filled. 2 Brown Bear- Attempts unlimited until submission is filled. 2 Black Bear- Attempts unlimited until submission is filled. I reserve the right to modify the rules and terms of this competition at any time between the date and time of this post, and the start of the competition. I also reserve the right to cancel this competition at any time. UHC and competition hosts reserve the right to disqualify any participant at their discretion for any reason, including but not limited to: cheating, unsportsmanlike conduct, harassment, et. al. Discrepancies & ambiguities in the rules or scoring site will be addressed by UHC or the competition host as expediently as possible. It is your responsibility to check competition start and finish times, and adjust accordingly. All prizes are final and cannot be refused by anyone who places in the top 4 (Myself excluded *). It is at your discretion what you decide to do with your prizes-once they have been awarded. All prizes will be in the form of EM$ Gift Codes. *I will be participating but not for any EM$ or accolades. Last edited by BCKidd on April 16th, 2018, 12:09 pm, edited 1 time in total. 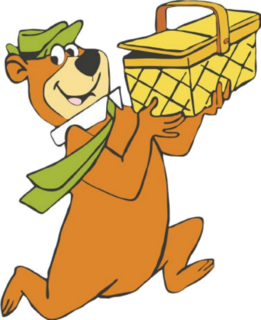 Nice last time the bears stole all my picnic baskets but this time I will be redy. 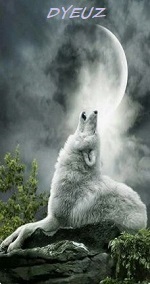 lowby wrote: Nice last time the bears stole all my picnic baskets but this time I will be redy. I do believe that folks can start registering for this comp. I think it has to be done via UHC site. The registration link above ain't working currently. I hope to see some new names registering and all the others too. Peace. Okay, looks like the registration link on 1st page is up. Click there to register. Peace. Great. I had 2nd place a year ago. Maybe this time will be great as well. Suggestion for the 30 seconds rule . From experience , i know that it takes a bit longer for the game to start / to load , than 30 seconds , for some of us anyway . You hear the music and all and then you're in . Since i hate to death hunting in the rain , if i have rain right from the start and sometimes i hear rain and i'm not even in yet , i would suggest to make it at least 45 @ 60 seconds . That way , players that are like me and i know one or two other guys that hate it also , it would give us a chance to restart if we have rain . Also, this would not be considered SM, because SM requires at least 2-3-5-10 mins hunts . 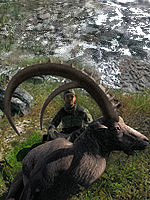 Never saw a SMer with 30-45 seconds hunts having success . I think it was discussed also in another of your comp if i'm not mistaken . DYEUZ wrote: Suggestion for the 30 seconds rule . I think i brought it up, having the same thoughts as you have. It takes me at least 30 seconds to get in from when i press the «Start game» till i’m in the reserve.